The First Soccer-Specific Stadium in the U.S.
MAPFRE Stadium (pronounced “MAH-fray” Stadium), then-Crew Stadium, was constructed in 1999, becoming Major League Soccer’s (MLS) first soccer-specific stadium built. Gates opened on May 15, 1999, to a sellout crowd for a match against the New England Revolution. MAPFRE Stadium is home to Columbus Crew SC, one of the original 10 MLS clubs. MAPFRE Stadium was named the world’s most influential stadium of the decade by Stadia Magazine in 2010. 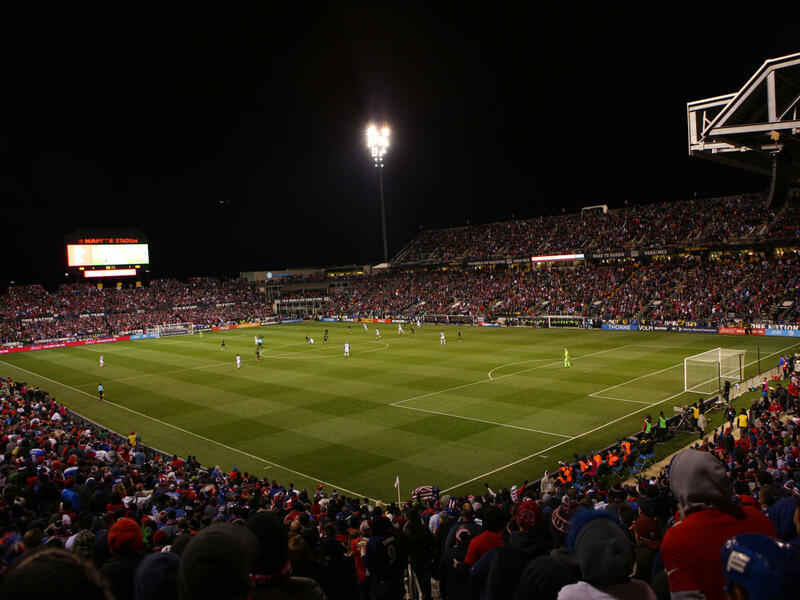 MAPFRE Stadium has hosted numerous national and international events including: eight U.S. Soccer FIFA World Cup Qualifiers, FIFA Women’s World Cup matches, MLS Cup 2001, two MLS All-Star Games as well as NHL, NCAA and Ohio High School Association events. MAPFRE Stadium is located only four miles north of downtown Columbus.